I have always loved how Gigi of The Magpie's Fancy turns her words into something that gives me pause, how she sees everything around her at home in Portland, Maine.....the day-to-day wonder that can be just outside our door if we look closely as she does as she moves through her day. 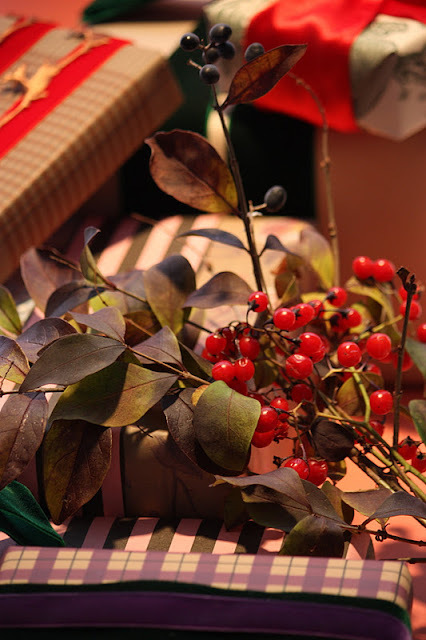 I knew that Gigi likes to gift wrap, she has often told me so as we comment back and forth, but I was charmed by her post yesterday on Simple Gifts. I thought her post captured the heart of gifting this holiday season, to give thoughtfully..............simply and beautifully. It is the most miserable day outside, cold, wet, howling wind and midway to snow, even Daisy is curled up into the smallest fur ball imaginable. The house is very quiet, my son off to a residency interview, my husband at work, then hockey till late, it could be a long stretch of productive...................oh forget it, no work today, just my PJ's, my big fluffy bed, Daisy beside me, and the new book I started, maybe a wee nap? I just need a day of nothing before the busy month of December. Just one. 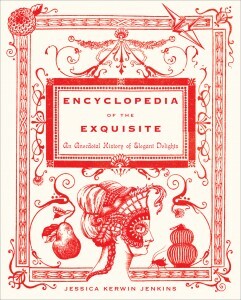 Encyclopedia of the Exquisite ~An Anecdotal History of Elegant Delights by Jessica Kerwin Jenkins was my favorite gift book last Christmas, my go-to holiday gift. The one I gifted as a single token or as an add-on to something larger. And I will be gifting again this year, not to the same people of course but I am sticking to this dainty and chic book because it does what I always want a holiday gift to do..........delight the recipient. Not only is the cover a festive shiny metallic, it is filled with gorgeous little drawings and the type of historical "bon-bons" that anyone on your gift list would find fascinating so I have added it to my astore here. Filled with delicious morsels of information such as how Louis XIV developed a fondness for the Bartlett Pear, the emergence of faux jewels and frilly lingerie, the art of divan lounging, the ancient uses of Saffron, how top hats incited a riot, the festive use of Confetti, and my personal favorite............aerostation, the art of hot air ballooning. "The word "exquisite" come from the latin verb exquirere, to search out, or to seek. It means uncommon delicacies, carefully selected, and the kind of beauty that can "excite intense delight or admiration" as explained in the Oxford English Dictionary." 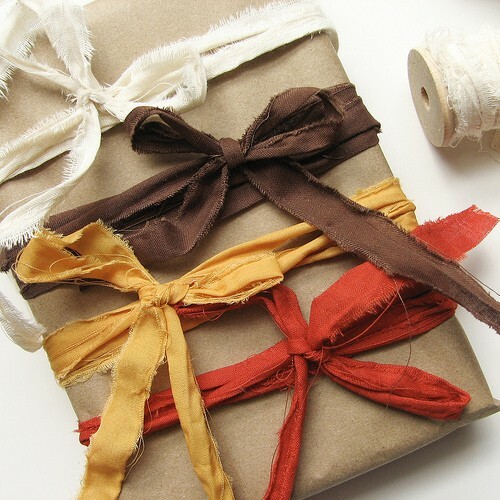 HOW TO GIFT THIS BOOK: I like to wrap a gift with cues from the book itself. Since this makes for a perfect Hostess gift, I would include one of the following items if you are including it with another item: A Tin of a high-quality Saffron spice, bubbly French Champagne, or a basket of gorgeous Bartlett Pears. For fun, include a envelope or packet of sparkly paper confetti. 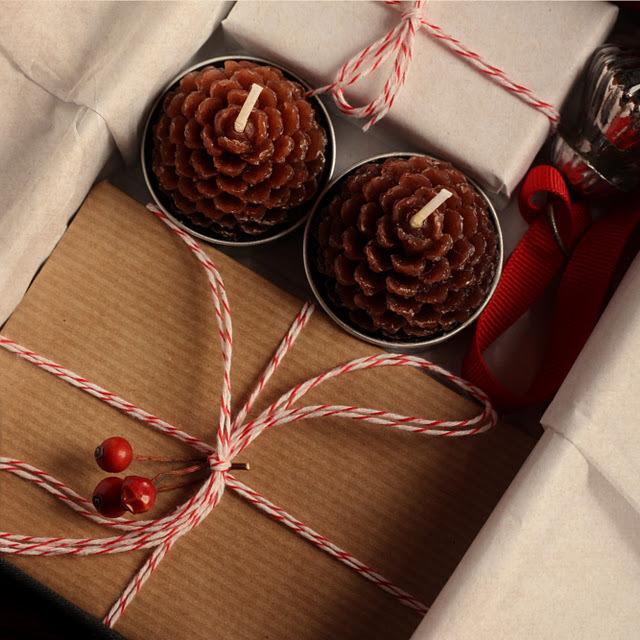 GIFT WRAP IDEAS: A brilliant red metallic gift wrap with a wide red satin ribbon and a tube of Saffron threads tucked in the ribbon. 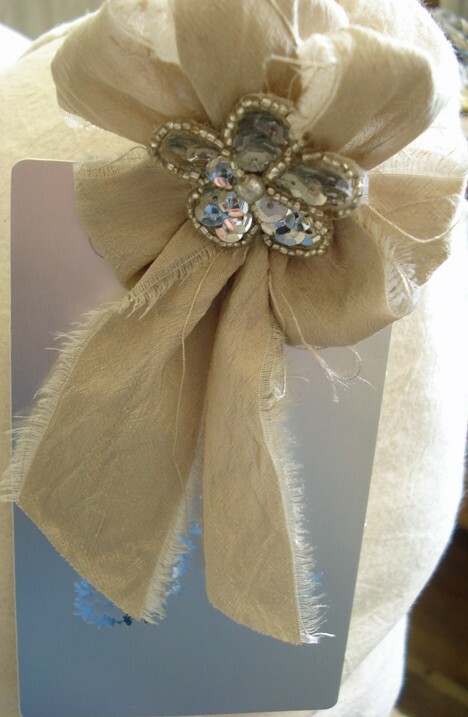 A Cherub or Hot Air Ballooning theme gift wrap with gold ribbon and a small Cherub ornament. 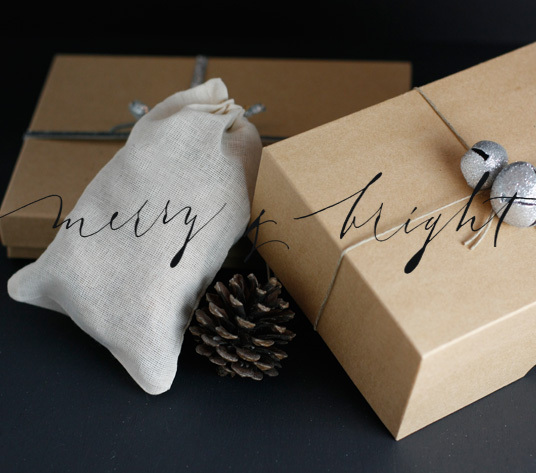 A simple ivory gift wrap paper with black grosgrain or satin ribbon and a Pear ornament. the Impress Her section of my Amazon store. As it turned out, this collection of gift wrapped samples had an autumn feel with some festive touches just starting to make their way into the mix. 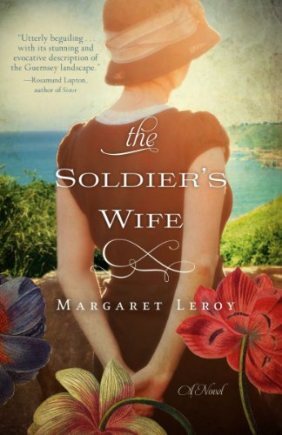 Perfect for wishing my American readers Happy Thanksgiving. They weren't intended to go together, it just happened that I piled them together to get them out of harm's way.........harm being a 6 lb. canine companion who was a bit too intrigued by the berries we cut while walking this morning. As you know, she also steals ribbon. One of those helpers you really have to watch, possibly probation. I have been playing around over here, getting ready for the biggest gift wrapping season of them all. Using up wallpaper sample sheets from outdated wallpaper books, bits of shorter ribbon. Getting close to figuring out exactly what this year's gift wrapping theme will be this holiday season. Started hunting for the sparkly bits that will add the festive touch. That decision, that colour direction, that theme is a process, I rarely end up where I started so it likely won't be what is shown today. 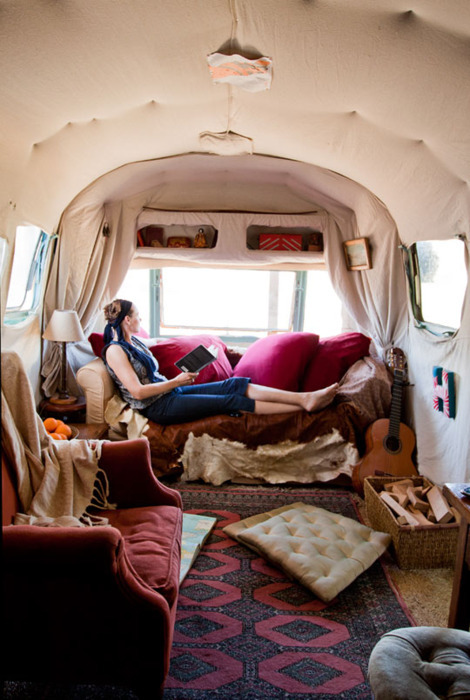 Though this could certainly be used as inspiration for recycling things you already have and jump starting some ideas of your own. 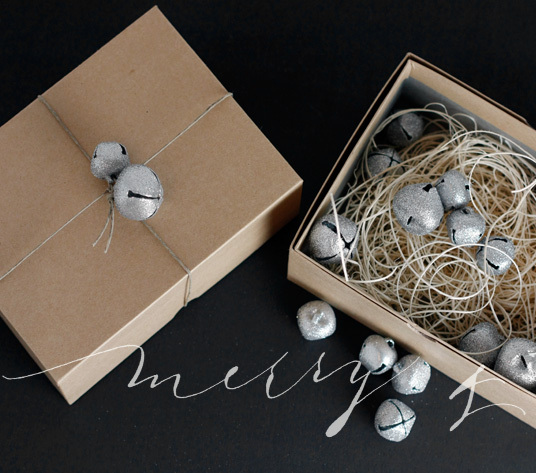 The next month I will focus on gift wrapping of many styles so I hope you will follow along. I used a trio of short fringe trim samples to make these pom poms for a male gift sample. More interesting than ribbon. I don't think men care if there is ribbon on their gift but I do think they like to see a presentation effort more than we would guess. It means keeping your eyes open for more unusual embellishments that don't strike men as too feminine. 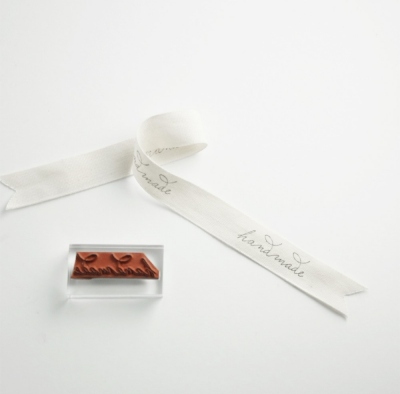 I also like the "deer" ribbon used in a flat layered treatment for a guy gift. The plaid background paper is also a wallpaper sheet. 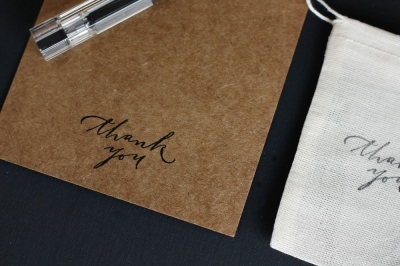 Wallpaper sample sheets can't be used for larger gifts but they do work well for smaller gift presentations. Don't be too quick to throw out wallpaper sample books if you are a designer or know one, they are an great gift wrap source for petite gifts at any time of year. And some of the male-based patterns too. The same goes for the trim books as you can see by the pom poms. 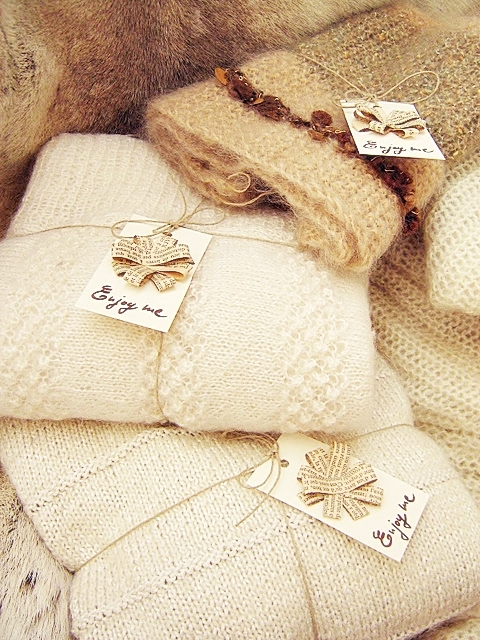 All kinds of embellishment possibilites for women or male gifts. Had I been invited to a Thanksgiving feast this year, I would have brought this as a hostess gift, fresh berries and all. So I think more of you should have invited me since I am not a big eater, bring really good gifts, and help with the clean-up too. Remember, here in Canada we celebrate our Thanksgiving in October. We are just a bit envious of Americans this today...............it is such a great start to the festivities ahead. Happy Thanksgiving and have a most wonderful day with your family and friends. Please email me so we can get your Pretty Parcel off to you. 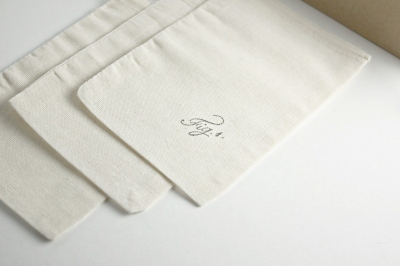 If you read my last post you know how besotted I am with the gorgeous paper and stamp website Besotted Brand. The owner Miss B and I got to email chatting and she is as wonderful as her product. 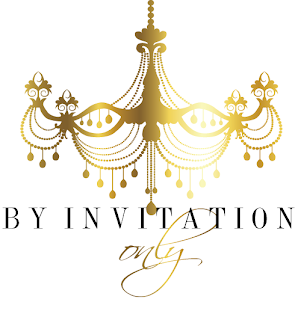 She has graciously offered a most wonderful stationery giveaway to the international readers of A Gift Wrapped Life............her most popular stationery ensemble Pretty Parcels with an extra something special added in just for the holidays. 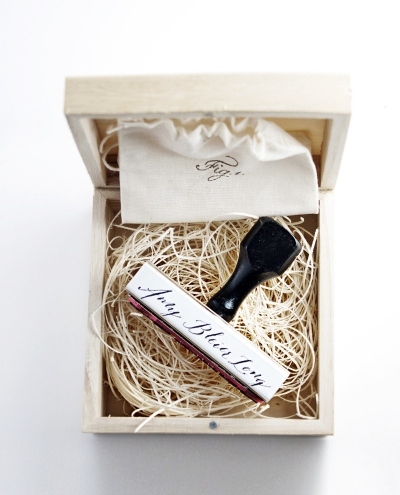 Along with the calligraphy Hello stamp, I asked Miss B if we could include the Fig stamp so you can use it to stamp your holiday ribbon as shown below, won't that make for a fabulous holiday gift presentation? 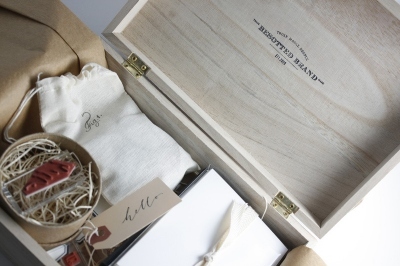 Pretty Parcel indeed, the Besotted hinged box is filled with a lovely array of Besotted products that will enhance your correspondence. 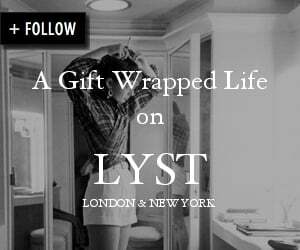 I am excited that one of my readers will win this most fabulous giveaway as I just adore this website. The best news of all............it is open to international readers. Yes, anywhere in the world. Isn't this the most divine giveaway? 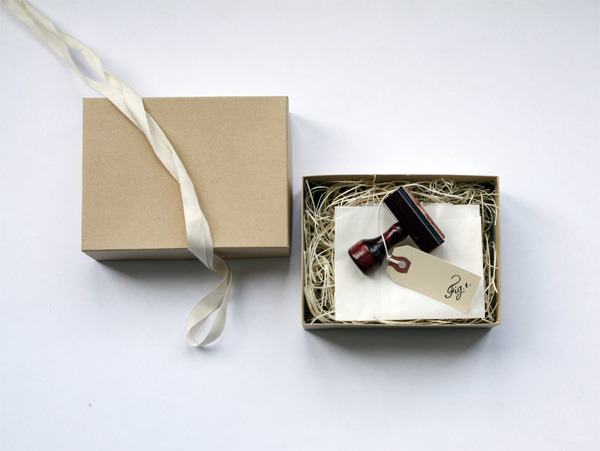 Along with using the Fig rubber stamp on plain ribbon as shown above for holiday gifting, you can also use it to hand stamp paper napkins for holiday entertaining as a reader suggested...............what a sweet giveaway. The good thing about being a blogger is that you always have something to do..........even when it is 4 am , you are wide awake and you are trying be quiet as a mouse. It is too early to browse the stimulating world of fashion, so off I went to visit new links and mentions, that quiet, easy way to wake my senses. I was Besotted this morning, no question about that. I fell in love with this paper brand that appeals to my understated gift wrapping direction this year so I say and I think you will be besotted as well. Besotted is a gorgeous, gorgeous website with the type of products that make for the most personable gifts this holiday season. 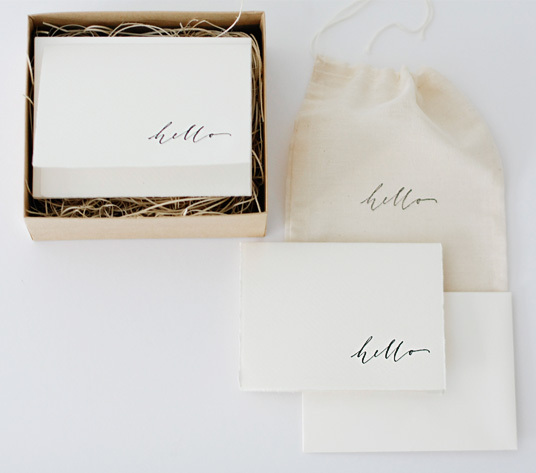 Calligraphy rubber stamps, petite linen gift bags, stationery, and my favorite of all.........the Ultimate Stationery Gift Set. 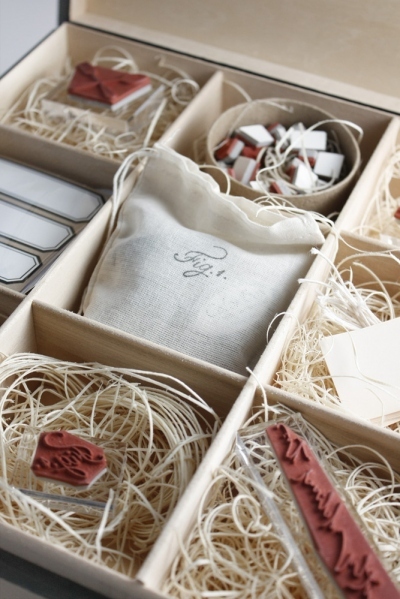 That one is for me, for my friends I think a personalized rubber stamp will be the most gracious gift of all. Something for Mrs. Claus at Objects of Desire. Remember the recent post when I told you about my talented blogger friend Lala from My Castle in Spain here? We share a love of presentation and when I saw her sweet home made gift cards I thought it fit in well where I am heading with my holiday wrapping this season. As you will see in the weeks heading towards our biggest gift wrapping day of them all, I will be mostly using natural kraft paper and black gloss gift wrap. Keeping the paper base simpler and more economical but more personal with easy and fabulous embellishments. 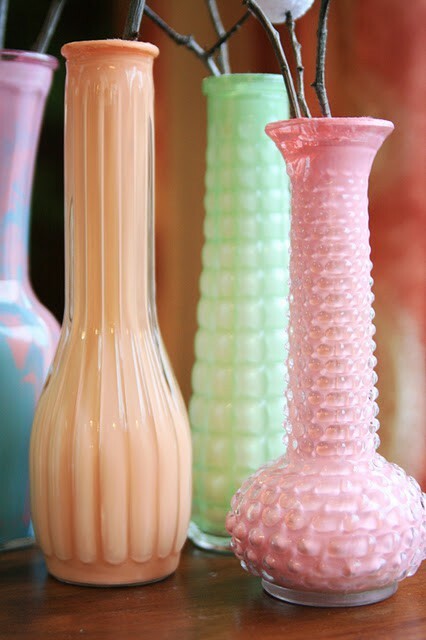 Today's post is just a glimpse of the ideas I will share in the weeks ahead. I love my bows as you know. Any size, any fabric, anyway at all and I think I could actually use these to wrap a large gift or knit little mini ones. 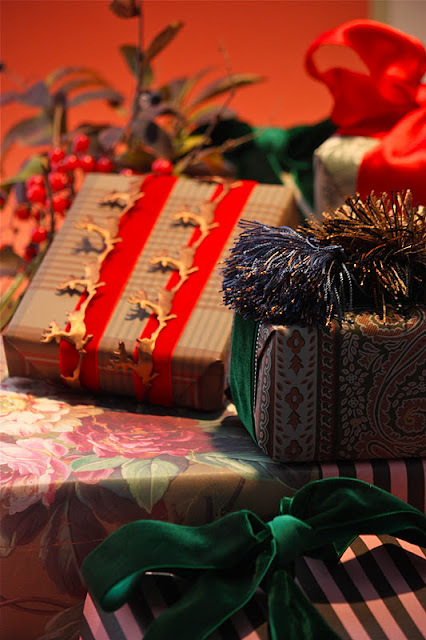 But what I am really liking this year is a neutral gift wrap palette and I am going to experiment with embellishments and bows of a different nature as well. Two years ago I tried mini ornaments strung into a ribbon nest and will look to expand that idea this year into a more vibrant direction. 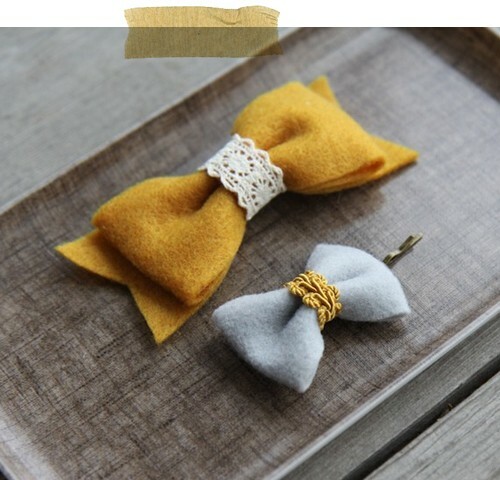 Aren't these the sweetest felt bows? 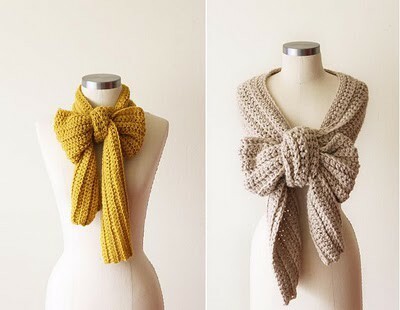 Let's see how I can fashion these for the girls and women and a bow tie version for the men this year. 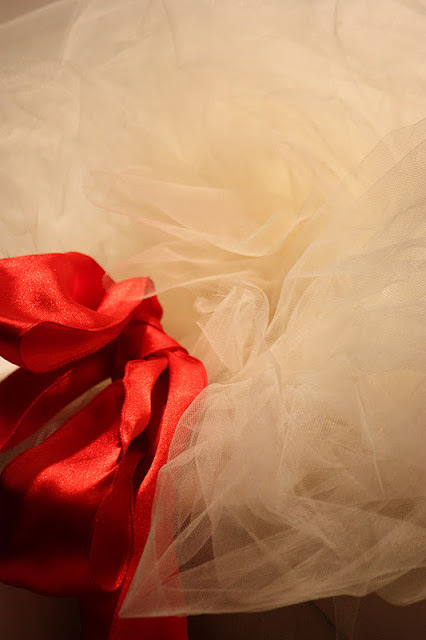 We can all do this and I will show you how to make this humble bow a gift wrap favorite. There will be an affordable abundance of glittery and sparkly baubles for the holidays so this is the time to start stocking up. 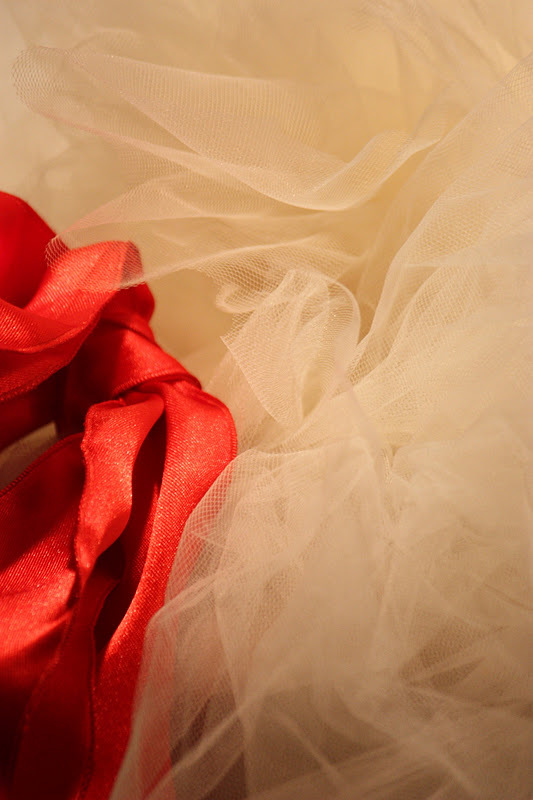 When used with strips of torn silk which is a truly glamorous way to wrap a gift. 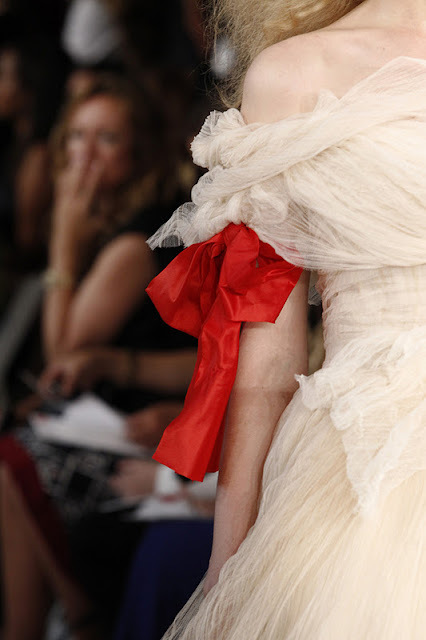 I have rolls and rolls of it from my designer days and love the wider "tear' for a voluminous and elegant bow. You can often find a few yards of silk fabric marked down at your fabric store. Grab a few yards now if you like this idea. My drapery seamstress is going to refresh me on how to "tear' fabric into yards of gorgeous ribbon and I will pass it along. Here is the same idea with a narrower version of torn fabric. Pick a silk fabric colour of your choice and go with it. 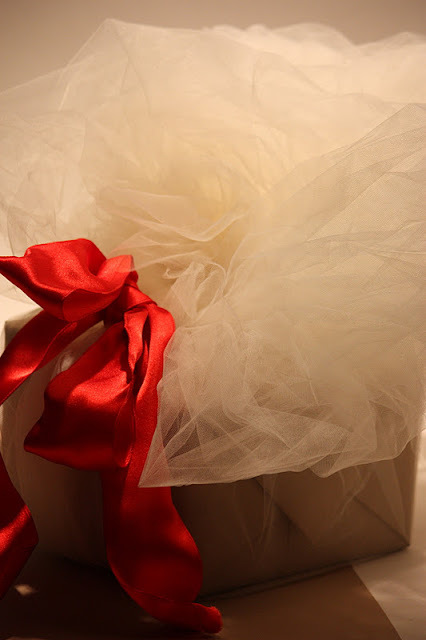 I will show you many ways in the coming weeks to glorify simple gift wrap with lots of style and sparkle. I did say sparkle didn't I? I will be using a bit of glue and metallic glitter this year too so I can embellish my neutral papers with some artsy flair. 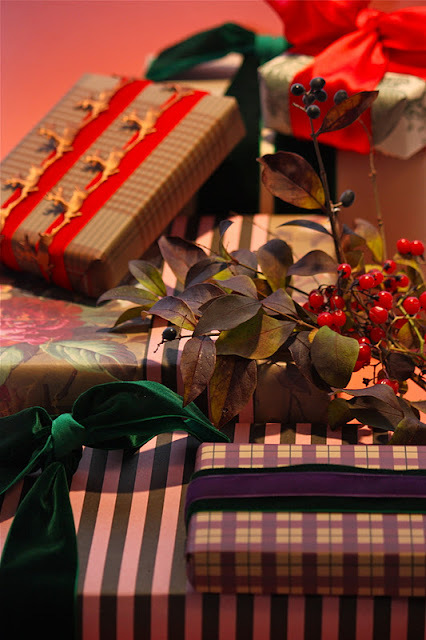 One of the best ways to de-stress the gift wrapping part of the holidays is being prepared.................let's get ready. I have lots of gift wrap ideas this year. From the looks of it, a holiday gift wrap party and you are all invited to wrap along with me. 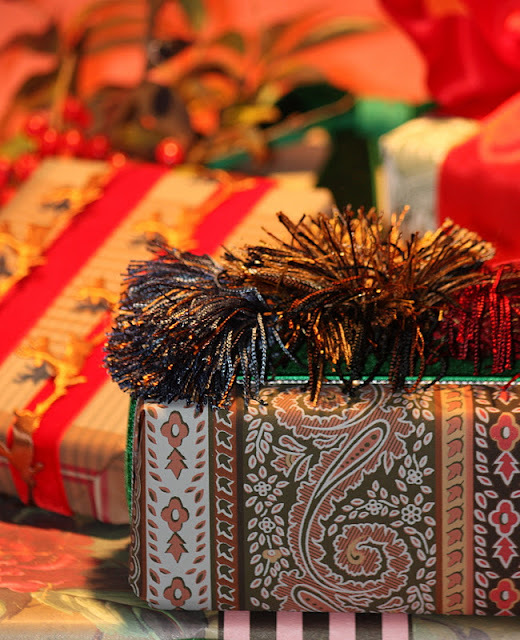 Next week will be busy here at A Gift Wrapped Life. I will have some wonderful news to share and will also be introducing the first contributor in the new Gifted Giving series. She is talented, gorgeous, and stylish and I love her "favorite gift" and it's personal meaning to her. I think you will too. 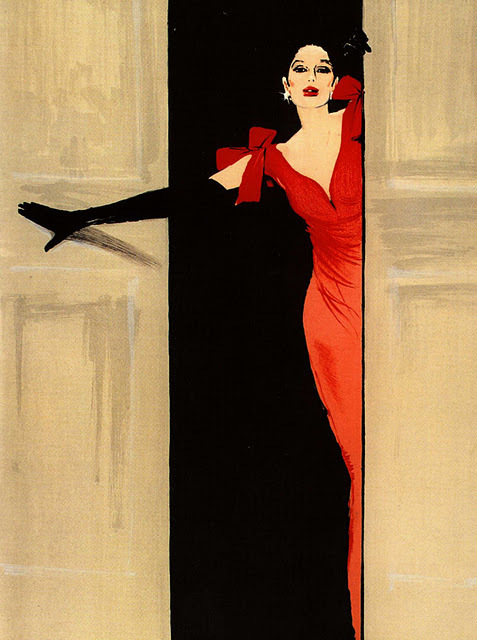 A warm and thankful welcome to new followers. When I was asked to participate in By Invitation, an international group of women bloggers who post on a common subject each month, I was more than intrigued by the subject this month. "Let's name the thing/person/place we've always wanted to experience, but haven't. Dream that money is no object. Tell the world what you've always wanted to do or wish you could do, but just haven't done it yet." Now, I know that I wasn't being asked what I am dreaming about when I am fast asleep but in my case my rem-stage dreams really do fit in with my real day-today "dream", the kind I would need to be fully awake to enjoy. At the risk of sounding like I ingested way too much cold sryrup one night let me ask you this strange question "have you ever flown over your neighborhood in your dreams?" The kind where you can see your neighbors houses from above, where you can feel a soft breeze as you effortlessly fly? The first time I had this exhilarating dream I was totally freaked out and wisely kept it to myself. The second time I actually began asking other people "have you ever had a dream where you actually fly?. Since then I have kept my weird dreams to myself and am patiently waiting for the next one.........because it really is one heck of a interactive dream and I wouldn't mind another. Apparently I am not alone and you can read about "lucid" dreams here that's a relief. 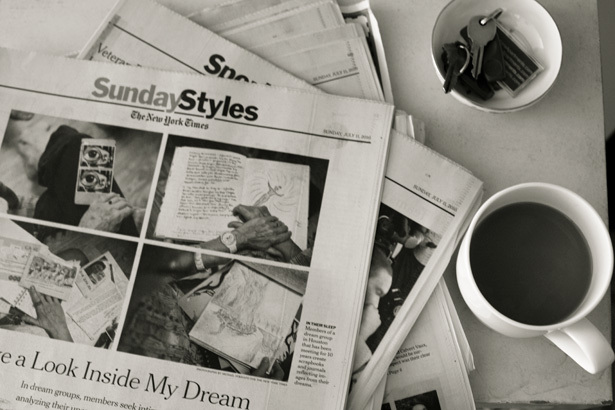 I find dreams to be an fascinating subject, so fascinating that I read this article about dream groups here, the latest group trend to compete with book clubs for the most interesting conversations. The informal group looks closely at what your dreams are telling you and then you get to discuss it with other dreamers in the hopes of interpetation. This might be a safer place to ask about flying dreams because I am darn sure there are weirder ones than mine, or at least I hope there are. 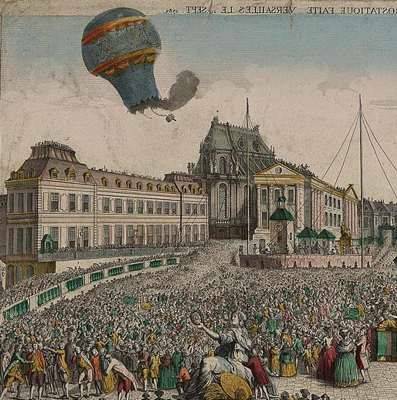 Regardless of whether I ever get to "fly" again in my dreams, it did tie in well with what my real dream would be.............to hot air balloon in France. See all those castles from way on up. Perhaps those lucid dreams weren't telling me I was weird, just that I need a vacation, a really good one. 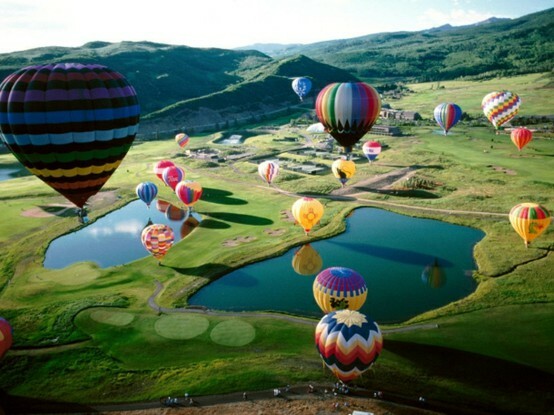 If this colourful up, up, and away experience sounds like something to add to the your bucket list, you can start planning it here..............See you way up there. please click here for a peek into their dreams. Photo 1/ photo 2 via google/Photo 3,4, 5 here.